Rotary heaters are designed for use in a variety of automated industrial production equipment that require heating .Usually use roller structure.During the production process, the roller rotates while heating the product.Therefore, it is necessary to install the heating and temperature measuring device in the roller.The use of MOFLON high temperature thermocouple slip ring can be achieved? 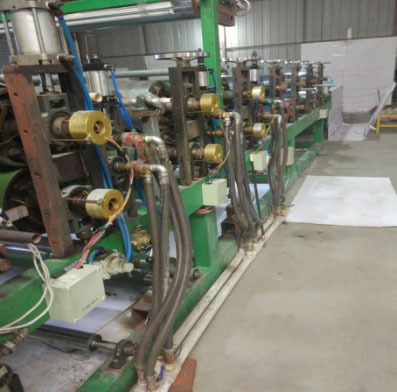 continuous heating and temperature control function in the process of heater rotation. Above picture shows a rotary heater in a factory's production workshop. It uses the heating temperature slip ring. Model MT050-P0320-S02, through hole mounting,simple convenient,through the 220V / 380V heating current 20A,With 1 road temperature measuring thermocouple signal. 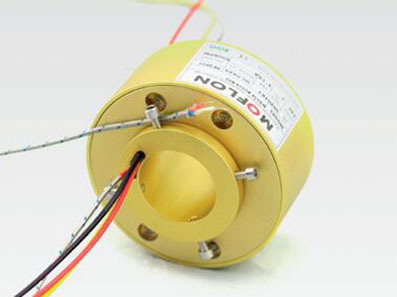 MOFLON specially designed for a variety of rotary heater slip ring. 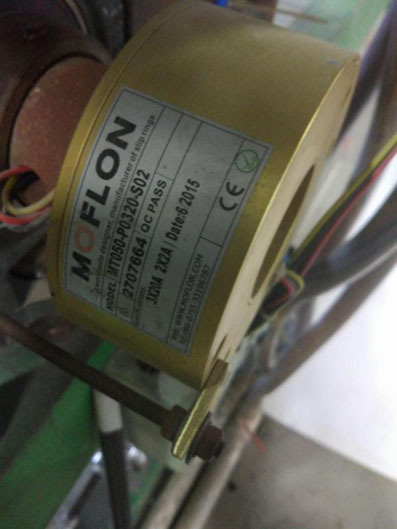 MOFLON thermocouple (thermal resistance) series of high temperature slip ring is designed specifically for thermocouple signal transmission . It has the advantages of accurate temperature measurement, high temperature resistance, long working life, and high reliability. Thermocouple series of high temperature slip ring can be mixed with electric power channel and signal channel, all aluminum alloy structure of the integral precision conductive slip ring, to provide professional thermocouple import silver plated wire, with shielding processing. U.S. military coating technology, precious metals + ultra hard gold plating. The slip ring can be customized to support maximum 50 thermocouple signal.